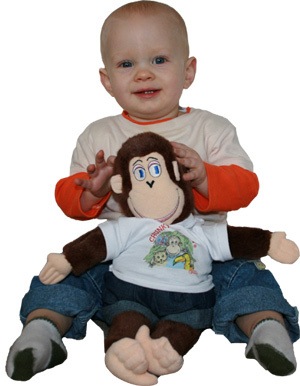 Get your original Chunky Monkey doll right here! 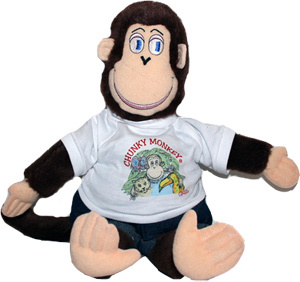 The Chunky Monkey doll is the cuddly version of cartoonist Pauline Comanor's cartoon creation. Chunky Monkey is 15 inches tall, wears a removable custom tee shirt, as well as a nifty pair of removable jeans with pockets, hand made just for him by Sheila's Doll Stitchery. The Chunky Monkey character was created by cartoonist Pauline Comanor in 1973. Originally based on sketches done of an overweight monkey in New York's Central Park Zoo, over the years Chunky Monkey has evolved into a monkey on a mission. Five percent of Chunky Monkey sales are donated to the International Primate Protection League, a nonprofit group dedicated to protecting all primates.